to create a logo for a children’s fair. 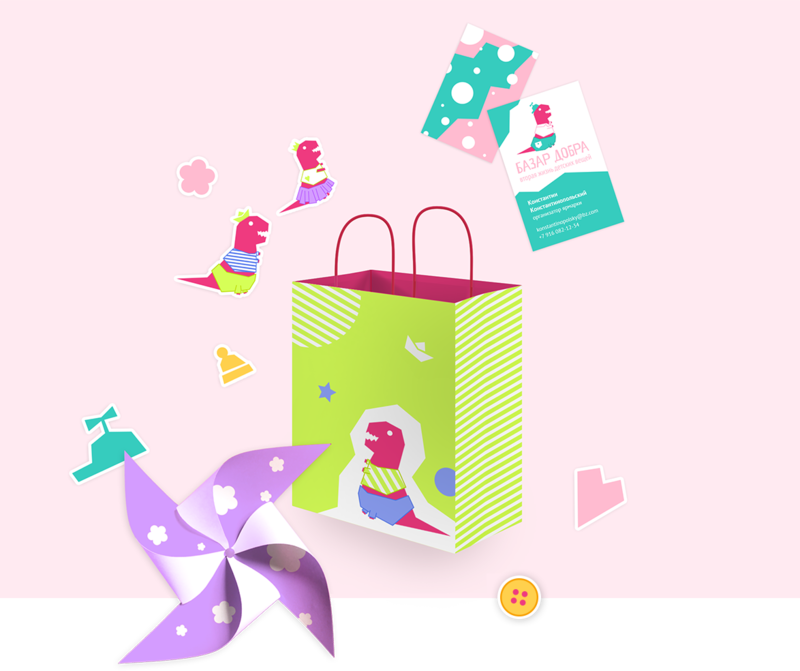 Bazar Dobra is a periodic fair where parents can sell unnecessary children’s clothes giving them a second life. A logo reflecting the mood and the purpose of the fair was created at the studio. 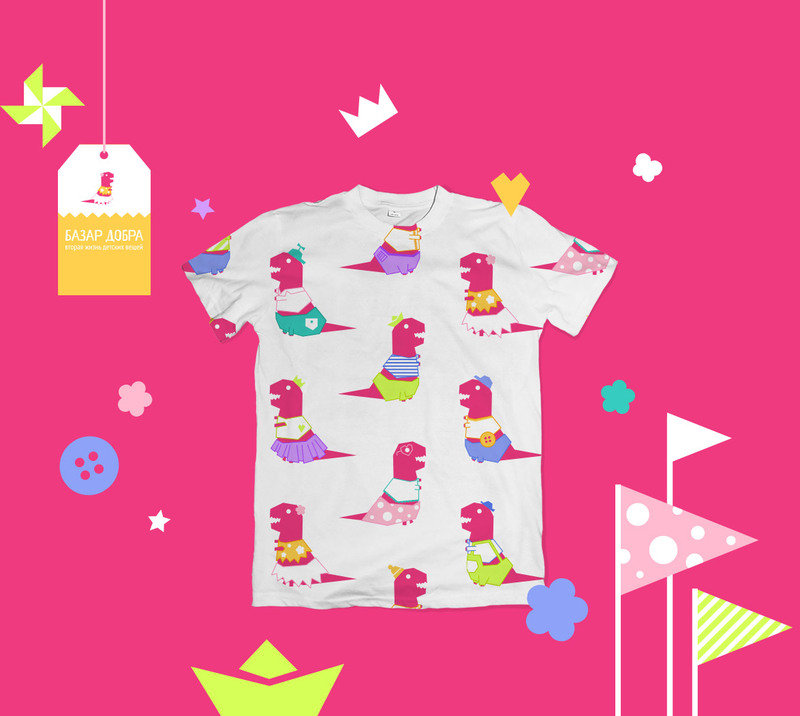 One of the favorite children’s characters, the dinosaur in the logo changes into different clothes for fun or out of necessity: there are outfits for both boys and girls.